Yesterday, Facebook Inc (NASDAQ:FB) announced that the long-awaited money-transfer capabilities for Messenger are finally being rolled out. Described as “a more convenient and secure way to send or receive money between friends,” the Facebook payments system will become available on desktop, Android, and iOS over the next several months. The Messenger payments feature requires users to add a Visa or MasterCard debit card — credit cards apparently can’t be used with the service — issued by a U.S. bank. Transactions will be handled exclusively by Facebook, and all data will be passed through FB’s multi-layered hardware and software security channels. How is the Facebook Payments System Different? Incorporating money-transfer capabilities into the Messenger service has been a top priority for FB CEO Mark Zuckerberg since last year. The Messenger payments idea was first revealed to the public last October after an IT security expert discovered payment code within the Messenger mobile app. Initially, rumors abounded that Facebook was planning to take on the current digital payments king,PayPal, while also attempting to prevent Apple Inc. (NASDAQ:AAPL) from securing a strong foothold with Apple Pay, its own version of a mobile payment system released last October. However, according to The New York Times, the Facebook payments system will not be in direct competition with Apple Pay, but might present partial competition to PayPal. 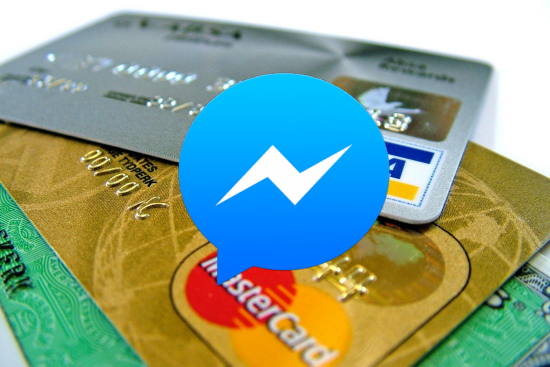 FB Messenger payments will be restricted to Facebook friends only, meaning users cannot send money to merchants. Because Apple Pay has been structured to facilitate payments to merchants, the new Messenger payments system poses no threat. But, person-to-person money transfers have long been an integral component of PayPal’s services, and if the new FB system catches on, PayPal could lose market share. Perhaps the most significant difference with Messenger payments is the lack of an additional holding account. Money sent between friends using Facebook payments will be deducted from the sender’s bank account via debit card transaction, then deposited directly into the receiver’s bank account using that method in reverse. At no point will money be held in a special Facebook account, as is the case with both PayPal and Google Wallet. So, how does the new Facebook payments system stack up to the competition? According to PayPal’s Q4 2014 report, the company has 162 million active “digital wallets,” which allow users to send and receive money, as well as pay for purchases both online and offline, in more than 100 different currencies. PayPal processes almost 11.5 million payments daily in 203 markets across the globe. PayPal processed $48.6 billion worth of payments to merchants in the fourth quarter of 2014, for a grand total of $168 billion for the year. Notably, more than 25% of those payments were made using a mobile device. Users also have the option of requesting a physical card that can be used at most of the same locations, as swiping the card deducts the cost of goods from the user’s account balance. Google Inc (NASDAQ:GOOGL, NASDAQ:GOOG) has offered its Wallet service since Sept. 2011. Originally partnering with MasterCard Inc (NYSE:MA), Citigroup Inc (NYSE:C), Sprint Corp (NYSE:S), and First Data, Google Wallet “allows us to harness the power of mobile technology to enhance our in-store shopping experience and helps bridge the gap between our online and in-store consumer interactions,” according to the executive vice president of marketing and advertising at Macy’s. Users have the option of paying for in-store purchases via NFC technology in smartphones, or with a physical Google Wallet card that works in the same fashion as the PayPal card. Person-to-person money transfers can be completed using the smartphone app, or from within Google’s Gmail service. Apple Pay, the newest digital payment service to hit the market, also uses NFC technology to facilitate payments to merchants. Apple Pay has seen unprecedented growth and interest from consumers and businesses alike. Within the first three days after the service became available, Apple CEO Tim Cook claimed more than 1 million users had activated it. JPMorgan Chase recently reported that more than 1 million of its customers had linked debit and credit cards to Apple Pay. In the U.S., approximately 100 banks participate in the Apple Pay program, along with 700,000 merchant locations (up from 220,000 when the service launched), and 40,000 vending machines from The Coca-Cola Co (NYSE:KO). Clearly, the popularity of Apple Pay is a direct result of the massive number of iPhone users, and it will continue to expand as more banks, merchants, and customers subscribe to the service. Facebook Messenger payments don’t share many similarities with the above-mentioned services, as FB only allows money to be exchanged between friends. That limitation will likely change at some point to allow commercial transactions, but the continued delay of a comprehensive digital money service will only put FB further behind the competition. Society is moving toward a cashless system, and as tech companies continue to develop and refine mobile payment systems, physical currency is likely to become a thing of the past quicker than you might realize. Apple is currently the industry favorite, but the initial awe of the service seems to have faded. Apple Pay has also been forced to deal with a significant number of fraudulent transactions, which increases the possibility that consumers might shy away from the service. It was reported last week that almost 80% of iPhone users haven’t even tried Apple Pay. Also, 30% of consumers who did try it are no longer using it. Again, the initial fascination, the wow factor, is gone. Expect things to be much the same when FB finally rolls out its Messenger payments capability to everybody. Initially, there will be a surge in use and interest in the service, followed by a drop to only minimal usage shortly afterward. Google Wallet use should remain relatively flat, or even possibly decline in correlation to the increase in interest of Facebook payments. Considering these four digital payment providers, two will rise to become the top dogs in the space — Apple and PayPal. Users of Google Wallet and Facebook payments will decrease, especially if PayPal capitalizes on its new-found independence. The only reason Facebook payments will have a chance of surviving is because of the site’s 745 million mobile daily active users. Otherwise, the future looks pretty dark for the service.